The Choctaw Nation of Oklahoma is one of ten (10) selectees that are part of the program. The Unmanned Aircraft Systems (UAS) Integration Pilot Program (IPP) is an initiative announced in October 2017 by President Trump, to begin safely testing and validating advanced operations for UAS (“drones”) in partnership with tribal, state and local governments in select jurisdictions. 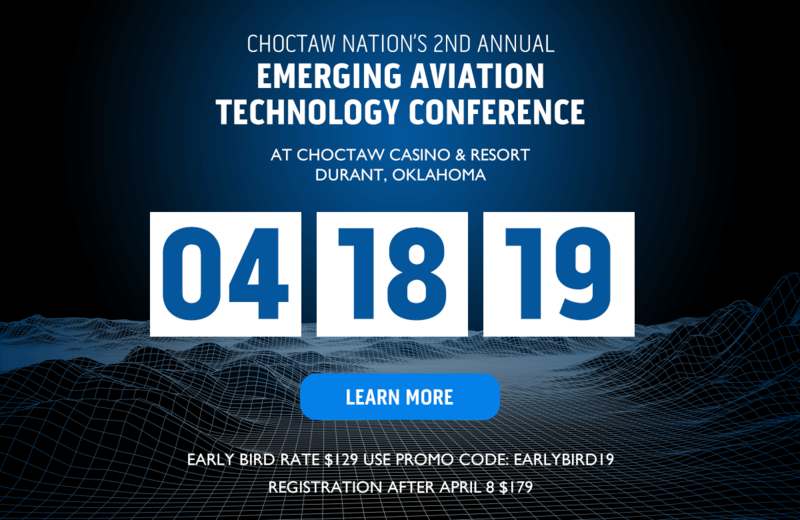 The Choctaw Nation of Oklahoma is one of 10 selectees announced from a competitive pool of more than 200 tribal, state and city governments. Results from this Unmanned Aircraft Systems (UAS) pilot program will be used to accelerate the safe integration of UAS into the national airspace and to realize the benefits of unmanned technology in our economy. The initiative will tackle the most significant challenges to integrating drones into the national airspace and reduce risks to public safety and security. It is designed to provide regulatory certainty and stability for tribal, state and local governments who are accepted into the program. 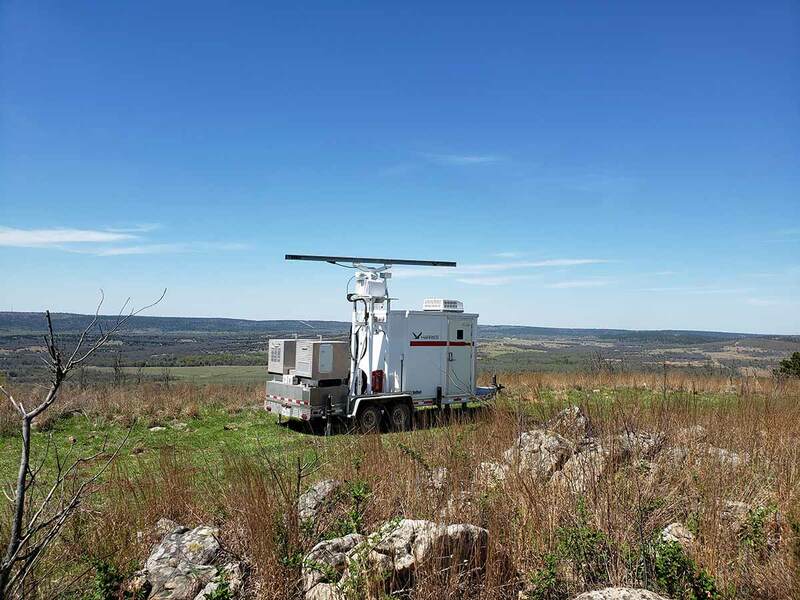 Limited testing will begin in a few months in select regions – starting in Southeastern Oklahoma – with a focus on agricultural and public safety applications. Public stakeholder participation and feedback is key and necessary. 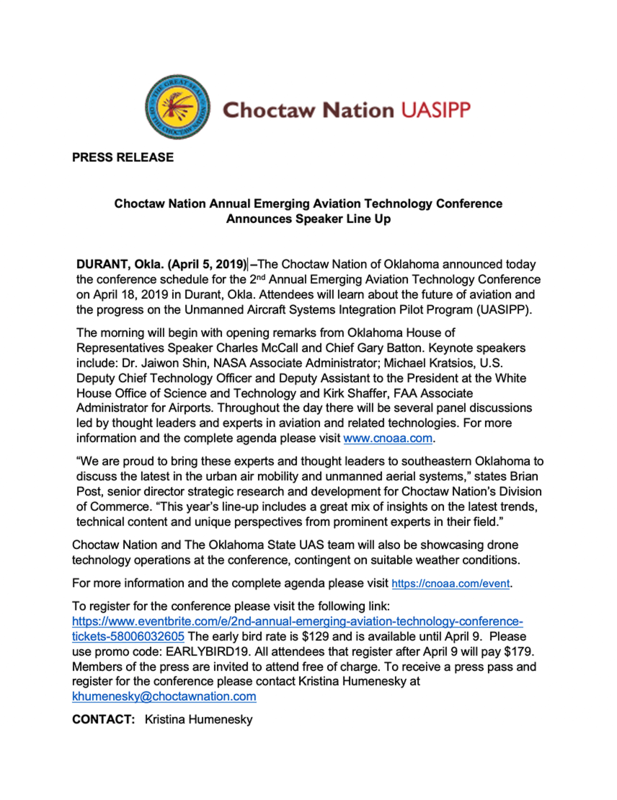 The Choctaw Nation of Oklahoma will announce a series of public events soon to discuss opportunities for industry engagement, and also to seek community involvement. More information about current operations will be available soon. If you have questions, concerns or want to provide feedback, please email use the contact form below. 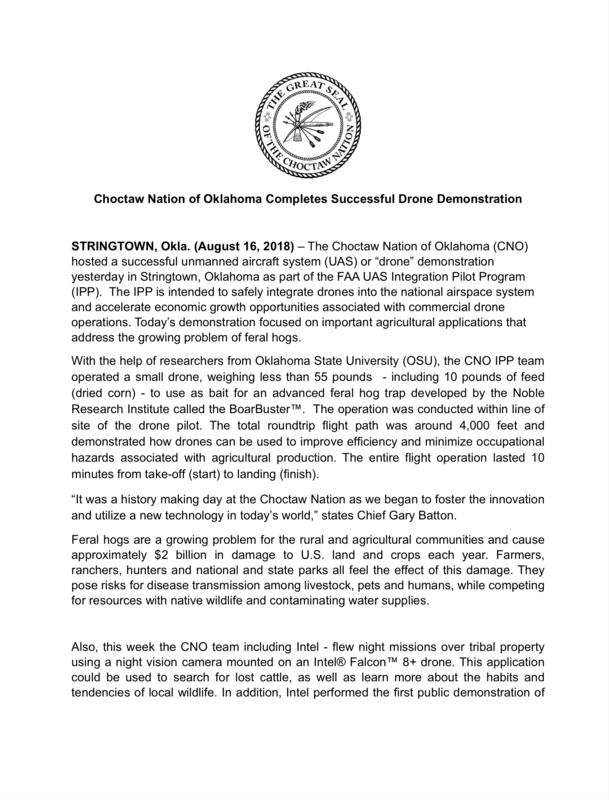 All information will be reviewed by the Choctaw Nation of Oklahoma UAS IPP team.